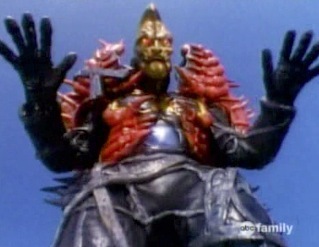 I think Power Rangers gets an unfair representation when looked back upon by the general masses. It is always remembered as a formulaic show, where the good guys are always winning. While I guess this is generally true, a lot of the more quality episodes actually end with the good guys losing, and pretty badly at that. The finale of Power Rangers Turbo is one of these episodes. While I don't believe Turbo is anyone's most favorite season of the show, it has a lot of positive notes and they're all touched upon in these final two episodes. Plus it's really the first time that the show had a tried-and-true destruction of the rangers' home base by the bad guys. And it highlights the fact that the Command Center is in plain view of everyone. The original command center does get blown up at the end of the Alien Rangers saga, but it's not a struggle by any means, and it gets brought back as the Power Chamber in the next few episodes. Here, the Power Chamber is GONE. That's it, goodbye. Future series would delight in their "command center" destruction scenes. The plot with Justin and his Dad's new job is actually a believable life event. Those are few and far between in Power Rangers. If you didn't like Justin, this episode made you care about him at least a little bit, seeing as how it was up to him to get the rangers into orbit. It's a dramatic, high-stakes episode that ends with the rangers heading into Space, and really serves as a premier episode of sorts for the next season, more so than it does as Turbo's final episodes. But man...I remember watching this as a kid and being at the edge of my seat when the rangers take off in that shuttle. It was before I knew what Super Sentai was, so I had no idea the next show would have anything to do with Space. While the episode does give us a lot of what we loved in Turbo, it doesn't really do much in the way of mitigating what people hated. The Super Sentai footage still doesn't mesh too well with the American characters, though it comes off better here because said episode of Carranger was a little bit more tense than usual. Bulk, Skull and Lt. Stone are reduced to almost no screen time, which is not surprising given what was happening behind the scenes. (Bulk and Skull were supposed to receive their own spy-themed spin-off series, but that didn't take.) As such, there's no real civilian representative for the evil stuff that is happening in the episode. So when the rangers battle....and lose both Megazords...it kind of feels like they did it for no reason. Who were they saving? Trees? Probably the most apparent thing that this episode led to for the movie is that the Command Center has been moved to an actual hidden location vs just being out in the open. I think we'll also hopefully see some of the more government-based facilities that Power Rangers has had over the years, (the Power Coins are located in a "restricted area"), even if it's just little Easter Eggs.